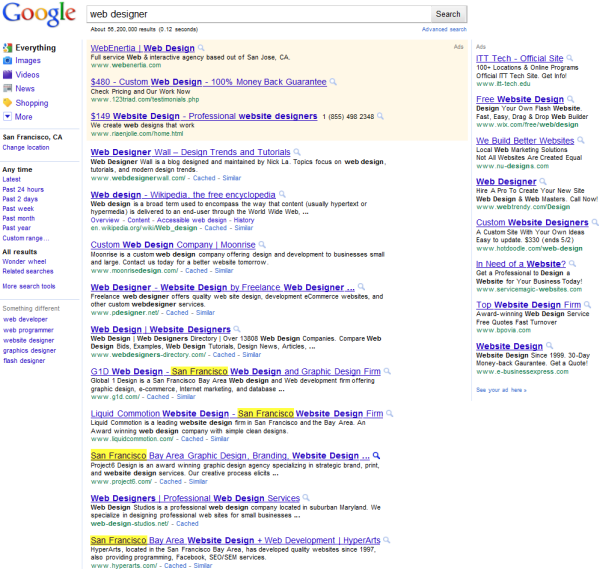 It appears that Google has just dialed up search result localization in a big way. Like a good neighbor, State Farm is there and there and there and there and there. The big problem with this IMHO is all but the spammer (who is now busy working on "local" signals) loses. Legit online-only pure plays are simply wiped off the result set. 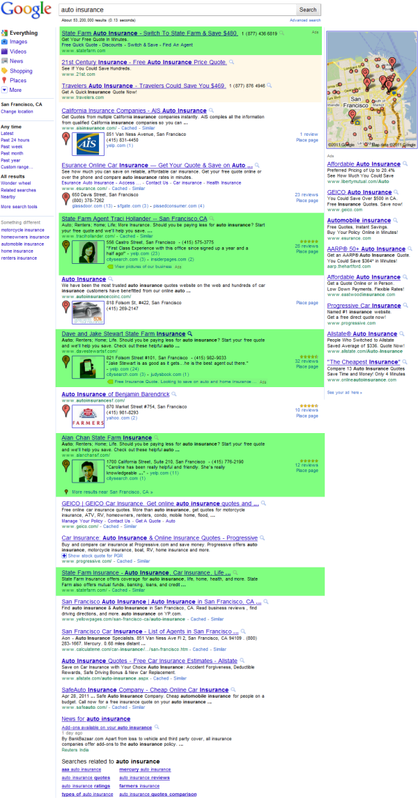 The searcher gains nothing by seeing State Farm agents 5 times in the search results. Even the local business which has a new windfall of business is simply overwhelmed with leads, meaning they likely have (at least relatively) poor customer service until they hire up. To a small business, a sharp rise in demand can be every bit as damaging as a sharp fall in demand. But should small local businesses hire aggressively, they could be only 1 algorithmic update away from needing to prune staff. Maybe some day Google decides to limit the results to show 1 agent per parent company, and then the agents end up fighting out each other (much like affiliates had to fight each other on bids in AdWords to be the 1 that shows up). Given that some of the agents ranking page 1 have less than a dozen inbound links & links from only a few unique domains, it won't take long for some new "local" players to come online. What Makes a Search Result Good? A lot can be said for getting users where they need to be quickly. When it works it has great value. But when it doesn't work, it makes the market less efficient. Value chains exist for a reason. Sometimes a brand (or an individual agent of brand x) is not in the best position to act as an unbiased advisor. As a consumer buying car insurance, I don't care that my agent is local. In fact, if I live in an expensive area I may want my insurance provided from someone who lives in an area with a lower cost of living so they can provide the services (while making a comfortable living) for less. For the last decade I have been insured from a company in another state (USAA in Texas). Location had precisely 0 impact on my decision making. What mattered to me was that they had great rates. Which is precisely what almost all insurance commercials promote. Geico spends nearly a billion Dollars a year pounding that message into the minds of consumers. The problem is that almost all the big brands promote the exact same message. They are the cheapest. Save with them. Etc. Online pure plays that provide quote comparisons provide a valuable & value-add function in this marketplace, but they have simply disappeared from Google. They aren't local enough to hit the local signal, they aren't brand enough to hit the brand signal, and since they are not the end brands they can't justify buying $30 AdWords clicks thinking that what they don't get back in direct ROI can be written off to "brand." This stuff is even happening on search queries where there is absolutely no implied local intent & no need for a local provider. General discovery & topical queries like "web designer" or even informational background searches like "SEO" now bring up service based sites with a local presence. 1 day doesn't make a trend, but if this stuff sticks ranking local sites for big keywords just got really easy. If you know SEO and live near a big city, a second office location might soon be a profitable decision. If you are a local business who thought SEO was too complex or expensive, that excuse may have just been removed from the marketplace. This is another example why it can be a great idea to mix and match your businesses...such that if one jumps out of nowhere or another one tanks you are still fine. Having multiple projects is one of the few ways you can really protect yourself from the likes of Panda & updates like this one. Running multiple businesses allows you to lean into your side gigs when your main one drops off, and push harder on your main gig when it is really humming along. Cheap insurance that pays out nothing and leaves you with personal liability is worth nothing. More on topic, it appears Google wants to very much become a "local engine" whether the searcher intends that or not. Profit margins that fuel ad budgets must come from somewhere. Some of that can come from increased efficiency, but frequently it also comes from fraud. I tried to highlight that in a recent blog post here. Insurance is one of the most overpriced products on the market. Especially health insurance. You pay for it until you need it, and the day something happens to you then you have an existing condition that they adjust to by either shooting your rates to the moon or flat out dropping you. And then if you are sick without insurance the criminal healthcare field sometimes charges you 2x 3x 10x or even 100x as much for performing the same procedure, simply because you came to them without health insurance. Such price shifting is illegal in most markets, but not in the health space. I'm slightly confused as to whether this is a very late post on the topic, or if Google rolled out this localization in the Canadian search market waaaay earlier. I mean at least 3-4 months earlier. It happened right around the time when Google "re-styled" the "local search" results downgrading it from local listings + 10 organic ones to simply 10 local+organic results per page (*sigh*). Fortunately, as an SEO/SEM consultant, I very much welcome changes that restructure the landscape and provide enormous opportunity in competitive niches. You're spot on with the spammer bit... Google now inevitably forces online marketers to "falsify" local rankings for online-based businesses... I can't say I don't welcome the change, but I do sincerely agree that this is a poor decision that degrades search results and user satisfaction in many cases, namely the online-based insurance quotes model you mentioned. But Google just dialed it up in a big way. You don't get much broader or more generic than 1 and 2 word phrases like "SEO" or "auto insurance." In one niche where I spend an enormous amount of time, I noticed they are also serving-up racially/other specific material based on geographic locale. So if you're in Atlanta, you'll likely see lots of "black" results, while San Diego and San Francisco includes "Gay" and "Hispanic" results. As you indicate - this is not really serving more information to specific groups, it is narrowing the offers, IMO. Pre-selecting what you "want," based on previous user data (queries or intent be damned). Steering the ship a bit too much, if you ask me. Add in the multiple listings, and there are now only 7-8 domains on page one here...so if you are the 8th, welcome to page 2. It seems people are not trusted any more to find something on their own - they are instead ushered/muscled right into it, based on whatever their neighbors did, or what Google believes you want. And you know what that is based on. Of the racially biased results & such? ... of the new post Aaron would be in a hurry to write with regards to racially profiled Google results :D Hahah. On a side note... I'm very curious, if the quality of 1st page results keeps degrading - are we going to see a significant increase in 2nd page impressions and click throughs!?!?!? I mean, soon enough, could we possibly end up with a "let's skip the commercials" culture in online behaviour where users will get into the habit of going to the 2nd page for "higher quality" search results!?!?!? No - I am sure the racial stuff is based on a combo of user data and census stuff. I think it is a terrible decision, but I am sure they have reasons for adding this in now. I meant we can logically guess why Google decides some sites are in the "good" pile - but the reasons aren't always necessarily tied in a discernible way to the site. And if Google is blatantly reaching beyond sites and links to determine SERP positions (or even potential), time to light the torches. I emailed some screen caps to you A - to make sure I am not seeing things. I can confirm I saw some of that stuff! And it looked just like Marty stated it as being, but I don't want to post it because an old client has a site in that space & I prefer not to draw any undo attention to it. Google won't allow too many page two clicks - they will see it and adjust. They will smoke it to smell like whatever they need to, but rest assured - if user behavior is constantly going to page 2, Google will whack. That's kind of the implied point under all of this - we have a competitor/conduit that determines the relevance of what is seen. But they definitely want everyone on page one...and if they see it going asunder, they will fix it. Much faster than other things too, IMO. This is another example of how search companies, by providing a free public service, can cause millions in collateral damage to the economy. In this age of inbound marketing communication, even businesses which do not rely on search are impacted. Fed regulators investigating antitrust charges for google are IMHO barking up the wrong tree - they need to ensure ethical business practices for all search companies, e.g. alg rollout previews (like google did for Caffeine) and offering recourse for companies that were damaged. Could you guys post contact info for the legislators who are working on the antitrust stuff? That is a Luddite fallacy. That is a Luddite fallacy. Google is trying to determine the correct balance that engages their users and is financially beneficial for themselves. The interest of those businesses and individuals who are ranked by Google are secondary. What is happening now is the same process that internet businesses dependent on search traffic have been experiencing for the past decade. As one of those people, I don't feel sorry for small businesses who will now undergo the same. With intention or not, Google's message is: we are very, very important. I think Google knows they will have their anti-trust day, deserved or not, and have chosen to just keep doing what they are doing until that day comes. Being an SEO from a non English speaking small country (Israel), local is not an issue and seems it won't be for some time to come. We just got preview a week ago, instant is nowhere to be seen and sheer number of links (along with relevance) seems to work best. Most SEO's here believe the algo version is pretty old and you can still use VERY old black hat tactics to stay on top for at least 2-3 months. Also, auto insurance is the biggest lead market here, and you can still see plenty non branded results for all major keywords. 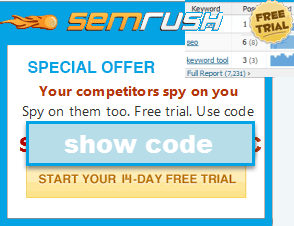 It's useful for my seo learning! Thanks a lot!